Apollo Farms brings participants back to nature to experience the wondrous world of horses and the their unique ability influence strength, confidence, and personal growth. 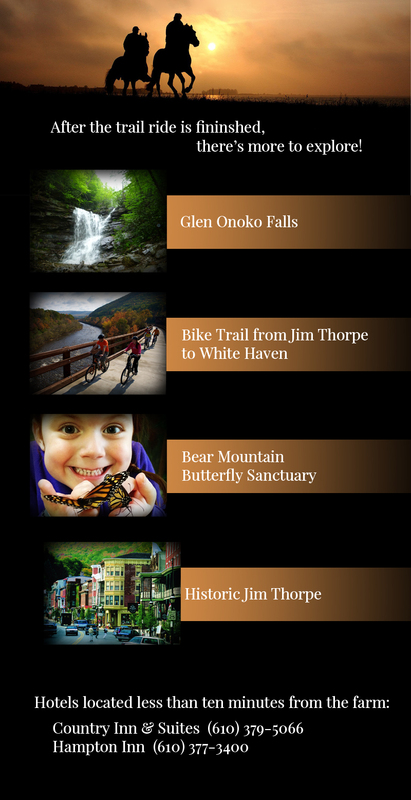 Each class trip is custom tailored to the ages of the participants. 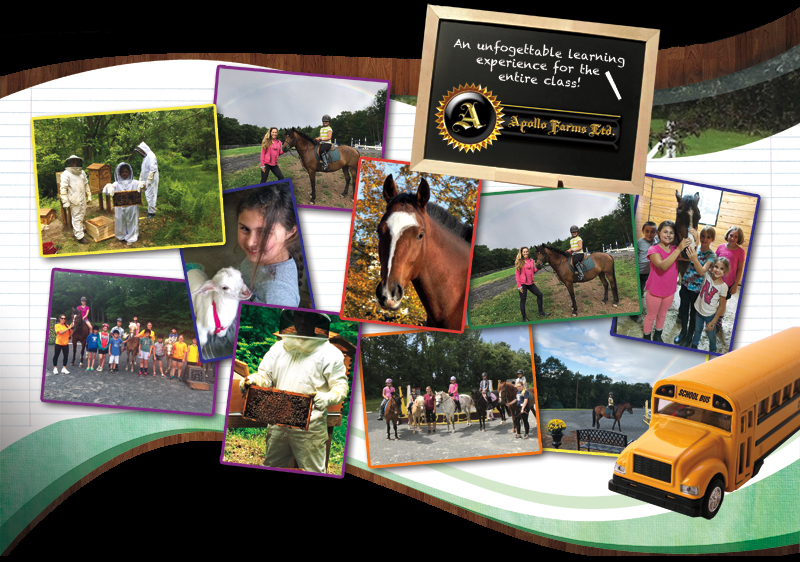 The class trip is a great Equine farm experience for children ages 5-17. We are also able to accommodate special needs children and adult groups. We also have perfect activities for team building and team strengthening sessions that are great for those in the corporate sector or for those groups looking for a unique way to promote group interaction. Our trip planner will put together a custom experience based on the amount of participants, budget, and time allotted for the experience. Contact our events coordinator﻿ today as dates pre-book in advance. There is a lunch area were Participants ﻿can bring bagged lunches and enjoy a picnic style lunch under our very own apple trees! When in season participants ﻿ can pick there own apples, raspberries, and blueberries as well.